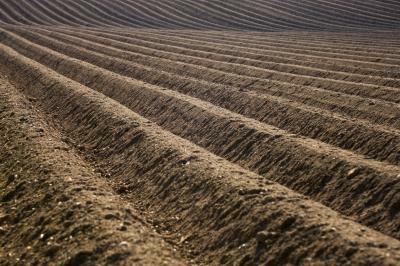 A team of scientists in the United Kingdom and the Netherlands are reporting disturbing evidence that soil microbes have become progressively more resistant to antibiotics over the last 60 years. Surprisingly, this trend continues despite apparent more stringent rules on use of antibiotics in medicine and agriculture, and improved sewage treatment technology that broadly improves water quality in surrounding environments. Their report appears in ACS' bi-weekly journal Environmental Science and Technology. David Graham and colleagues note that, although scientists have known for years that resistance was increasing in clinical situations, this is the first study to quantify the same problem in the natural environment over long time-scales. They express concern that increased antibiotic resistance in soils could have broad consequences to public health through potential exposure through water and food supplies. Their results "imply there may be a progressively increasing chance of encountering organisms in nature that are resistant to antimicrobial therapy." The study involved an analysis of 18 different antibiotic resistance genes (ARGs) to four different classes of antibiotics in soil samples collected in the Netherlands from 1940 to 2008. ARGs are genes chosen to assess potential changes in resistance in microbes. Using data from sites around the Netherlands, the scientists found increasing levels in 78 percent of the ARG tested, clearly indicating increased potential for resistance over time. Because soil samples were only collected from the Netherlands, the scientists conclude their report by suggesting that further studies need be performed around the world so that the scope and possible ramifications of their results can be better understood.